Create a new Embedded Thermometer. 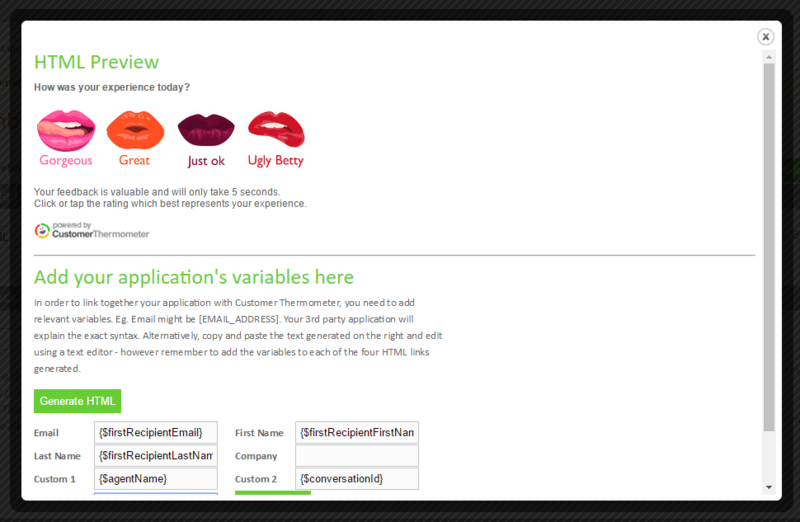 Choose “Basic HTML” from the i) Embedded Thermometer type drop down box. Click the Generate embed code button. You will see a window popup. Click “Generate HTML” and copy the HTML generated to your clipboard. Navigate to the relevant template within LiveAgent. Switch to the editor’s HTML mode as shown below. 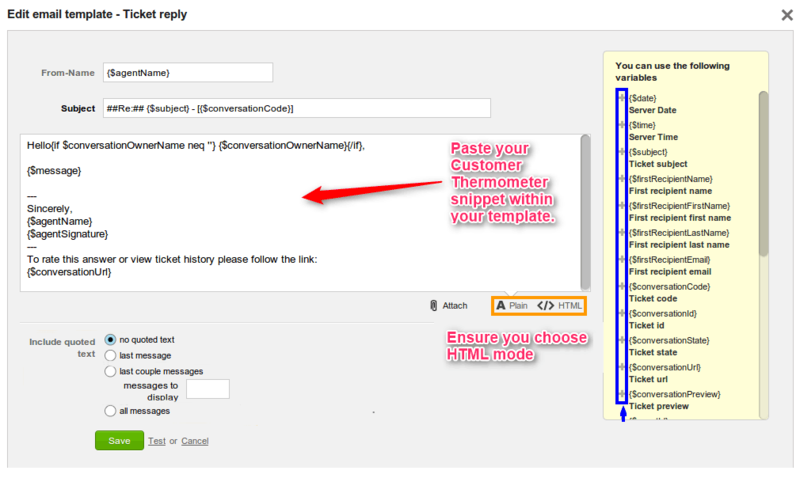 When a template reply is sent to a LiveAgent contact, the merged variables will pull together the relevant Attributes and all identifiable feedback records will be stored in your Customer Thermometer reporting.